Since the Samsung will likely attempt to make the Galaxy S4 the best kept secret and least leaked phone in the history of tech, we are left with concept ideas to fuel the hypebeast engine. In this spot, put together by Rozetked, we get to see a vision of what Samsung’s next best device could turn out to be. 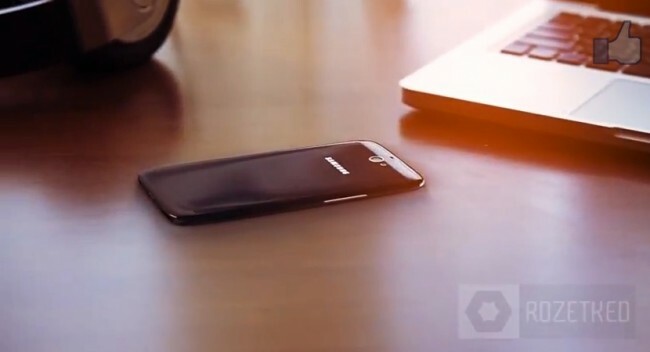 In the video, the Galaxy S4 is presented as the GT-i9500, which makes logical sense, since the Galaxy S3 was the GT-i9300 (internationally). This depiction also shows off a device that is incredibly thin, looks a lot like the Galaxy S3, sports a 1080p AMOLED edge-to-edge display, 2.0GHz quad-core processor, 13MP camera, physical home button, and runs Android 5.0 (Key Lime Pie). It’s not completely out of this world or outlandish. All of that – or at least bits and pieces of it – could show up in the next Galaxy. But there is one feature which we know will most definitely not be making the cut and that’s the gesture-activated laser keyboard (1:00 mark). No, sir. In fact, we saw something similarly ridiculous in an iPhone concept commercial, one that a Fox News outlet thought was actually a feature of the iPhone 5. It’s a nifty idea, but it’s not happening. What do you think about the rest of this vision?